Our gemstones and minerals traveled across the world to become a part of your collection! Our mining rough contains gems and minerals that were mined in countries as far away as Brazil, Peru, Mexico, India, and Madagascar. We hope you enjoy learning about your new treasures. Agate – A common, semiprecious type of chalcedony, agate forms in ancient volcanic cavities. Agate is characterized by its microcrystalline structure and concentric banding. 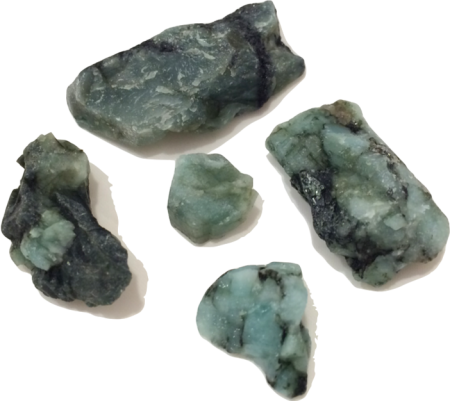 Amazonite – Also called Amazonstone, this blue-green feldspar variety of microcline is named after the Amazon river and is frequently mined in Brazil. It is a semi-precious gemstone. Amethyst – Known for its regal purple color, this member of the quartz family has long been cherished as a gemstone and frequently worn in jewelry. In Greek mythology, it is believed that Dionysus, created this stone. Amethyst is the birthstone for February. 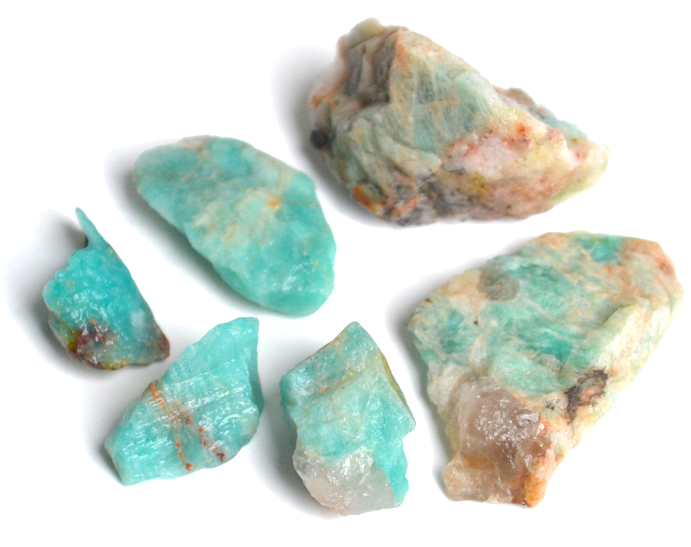 Apatite – Is a phosphate mineral found in a variety of intense colors including purple, green, blue, white and red. 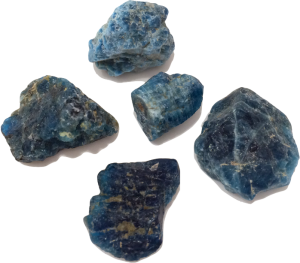 Gem quality apatite can be found in the United States. An important source of phosphorus, apatite is used in matches. 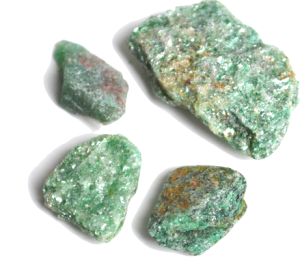 Aventurine – A variety of quartz speckled with green mica. Other colors such as brown and red are formed by inclusion of the minerals pyrite or hematite. When polished, this stone sparkles. 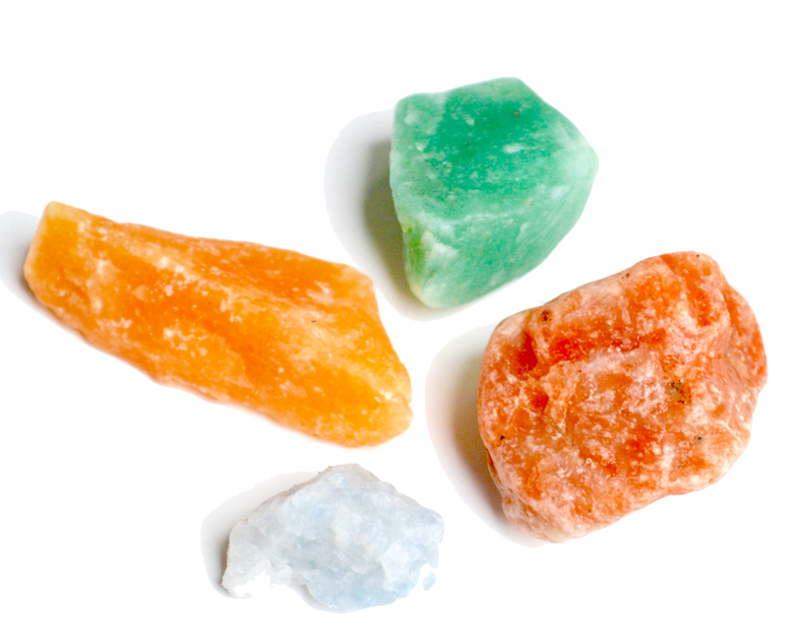 Calcite – Found in virtually all colors, this form of calcium carbonate is know for its beautiful crystals, often twinned. Specimens of calcite are found in every country, with most calcite occurring as limestone or marble. Carnelian – A form of chalcedony, carnelian is found in a reddish-orange shade due to the presence of iron oxide in its composition. It is believed to bring courage to the wearer. 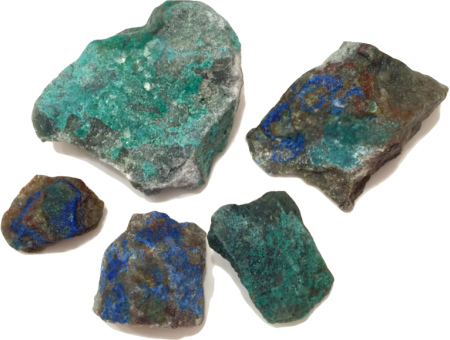 Chrysocolla – A beautiful stone coated with green and blue “paint.” Chrysocolla forms as copper decomposes. 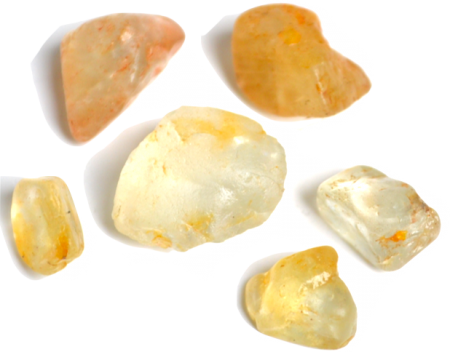 Citrine – This yellow to brownish quartz is far less common than its quartz cousins. 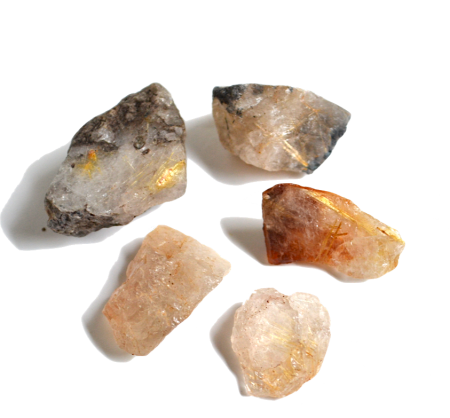 Most available citrine is in fact heat treated amethyst or smoky quartz. 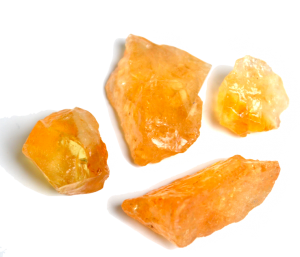 Gem quality natural citrine can be found in North Carolina. Crocodile Jasper – This stunning jasper mimics the appearance of crocodile skin with its green and black flecking. It is a very unique stone that certainly feels reptilian in nature. 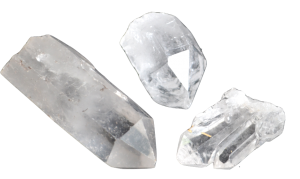 Crystal Points – Also known as Rock Crystal, this colorless, transparent quartz is prized for the crystalline shape. Rock crystal is found in clusters and twinned forms. It was once believed that rock crystals were ice too frozen to melt. 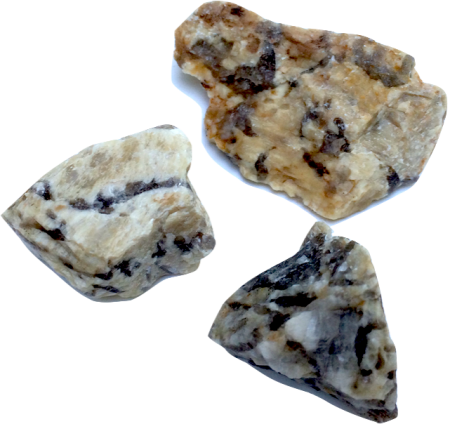 Dalmatian Jasper – A fine-grained, dense quartz called chalcedony, jasper is found in a variety of colors. Typically the inclusion of clay gives jasper a yellowish-white to gray tone. 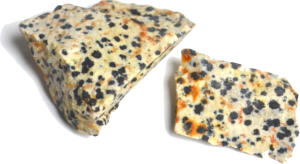 Easy to remember, this type of jasper is named after the dog breed with the same spotted pattern. Emerald – One of the seven precious gemstones, emerald is the green variety of the mineral beryl. Its cousin is aquamarine. Emerald crystals can be found in quartz or mica schist. North Carolina is home to several emerald mines. Emerald is the birthstone for May. 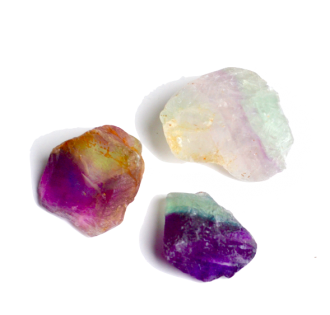 Flourite – Commonly found in a trio of three colors – purple, green and white, flourite has the widest color range of any mineral. This mineral fluoresces under ultraviolet light and glows a beautiful violet-blue color. 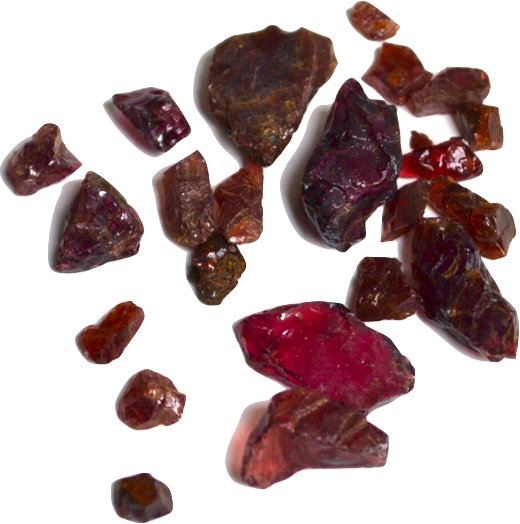 Garnet – There are 15 garnet species found a wide range of colors, although it is commonly available in dark red hues. Garnet is the birthstone for January. Labradorite – Named after the location of its discovery (Labrador, Canada), the crystal formation of the stone creates the “schiller” effect which results in a breathtaking iridescent display. 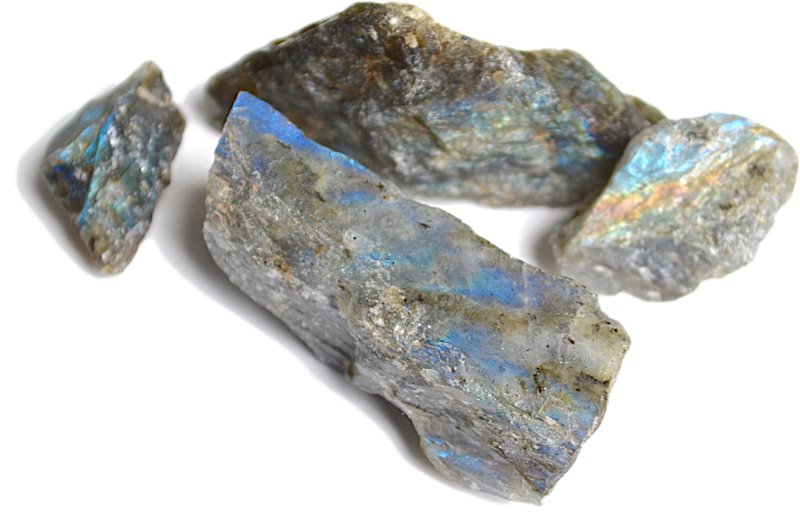 Our labradorite comes from the gemstone-quality rich region in Madagascar. Moonstone – A type of feldspar with a pearly iridescence, moonstone is the smooth and shiny variety of this mineral. This stone can be found in white, cream, tan, brown, yellow and green shades. Considered as the birthstone for June along with pearl. 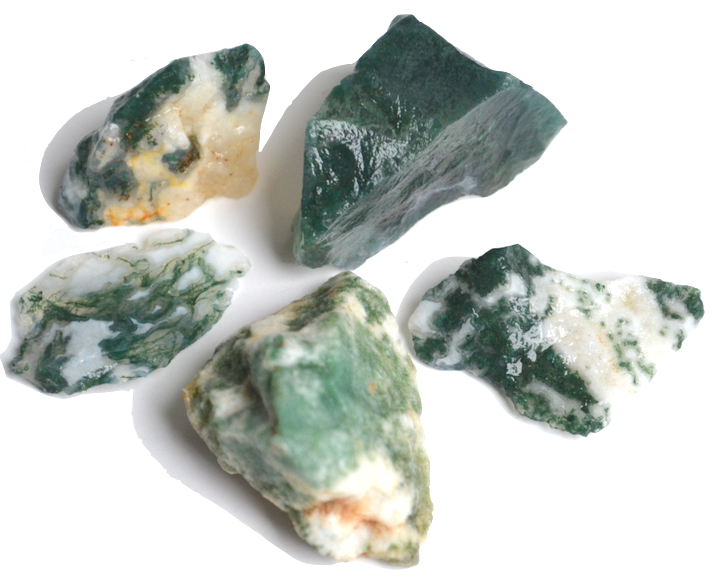 Moss Agate – As the name suggests, this type of green and white agate looks like it has moss growing inside of the stone. 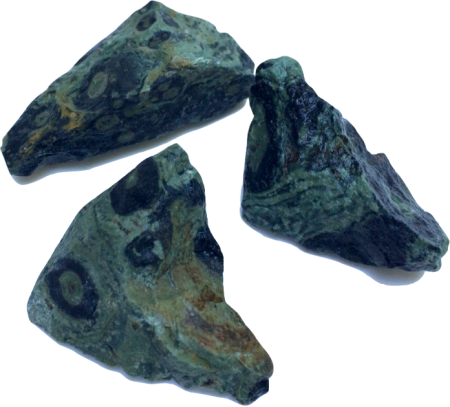 Moss agate can be found in a variety of colors including grey, black and brown. Our specimens are from India. 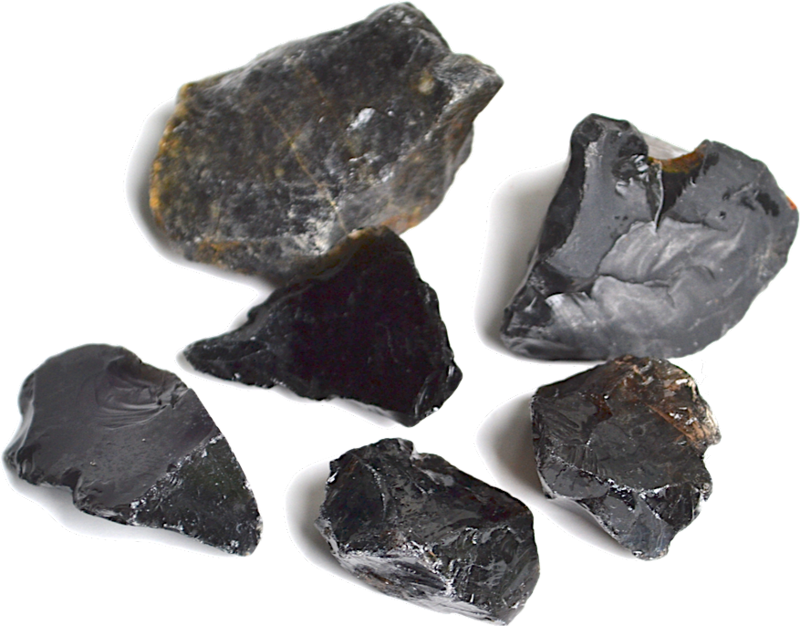 Obsidian – Typically jet-black, obsidian is a natural volcanic glass formed when lava cools rapidly. 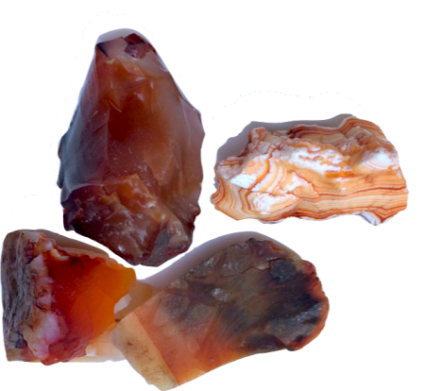 The glassy texture can be shaped into sharp edges and was used by American Indians to craft tools and weapons. Snowflake obsidian has crystal inclusions giving it a snowflake pattern. 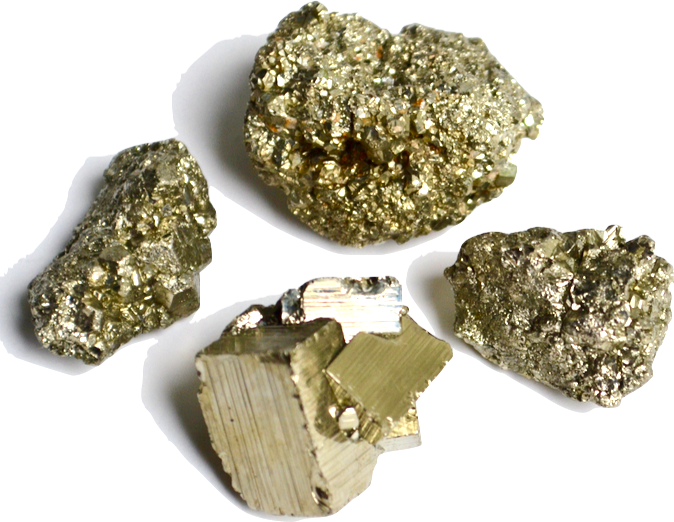 Pyrite – Better known as “fool’s gold,” pyrite was often mistaken by prospectors as gold because of it’s brassy color and shine. It’s name is derived from the Greek word pyr which means “fire.” When struck by iron, pyrite emits a spark of fire. Pyrite occurs in many different shapes and can be found in distinctive cubes. 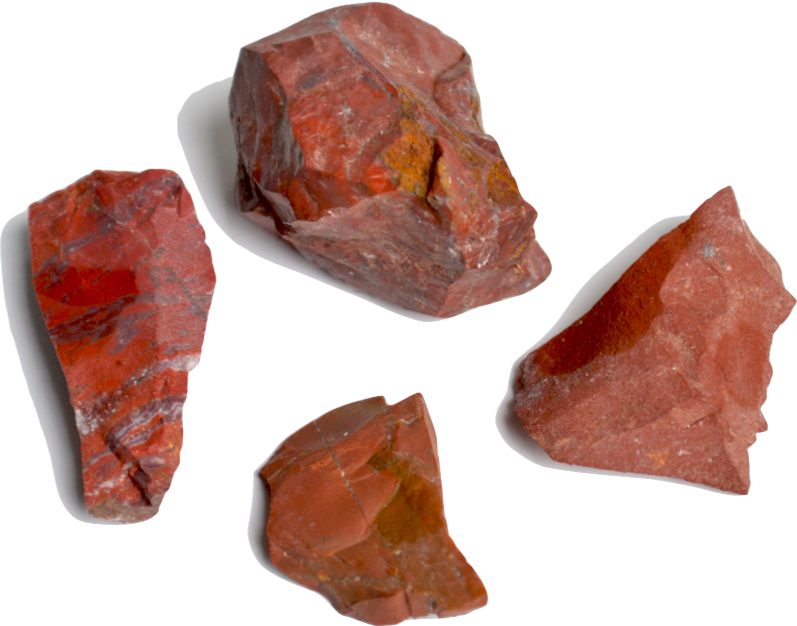 Red Jasper – This fine grained stone contains the iron ore, hematite, which gives it the deep brick-red color. 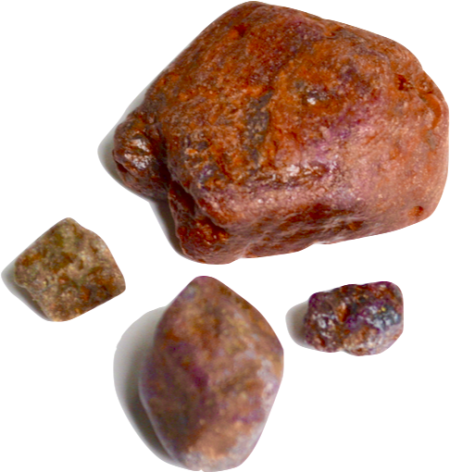 Found in many colors, the stone is typically named for its color or pattern. 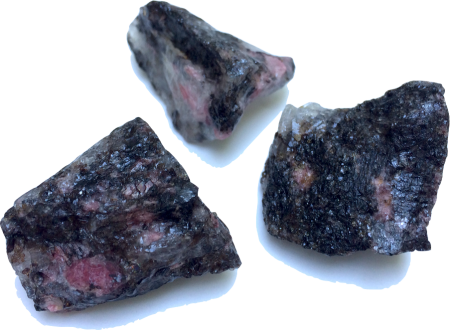 Rhodonite – Named after the Greek word meaning “rose,” this stone has a characteristic pink color mingled with black or grey veins of manganese. It is often mined for ornamental use and jewelry. 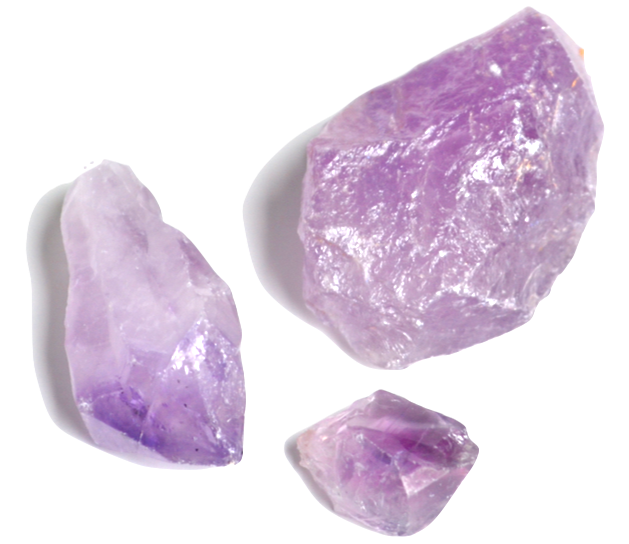 Rose Quartz – Aptly named rose quartz for it’s pink coloration, this stone ranges from transparent to opaque. 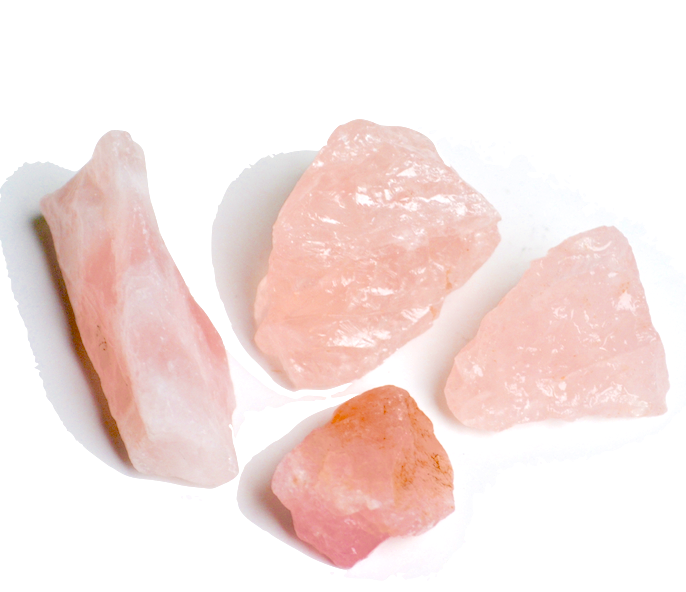 Rose quartz is used today by crystal healers who attribute this stone to emotional healing and unconditional love. Ruby & Sapphire – These precious gemstones are the same mineral, corundum. When found as red corundum, it is called ruby. Every other color, including blue, is called sapphire. It is the hardest mineral on Earth, second to diamond. Ruby is the birthstone for July and Sapphire is the birthstone for September. 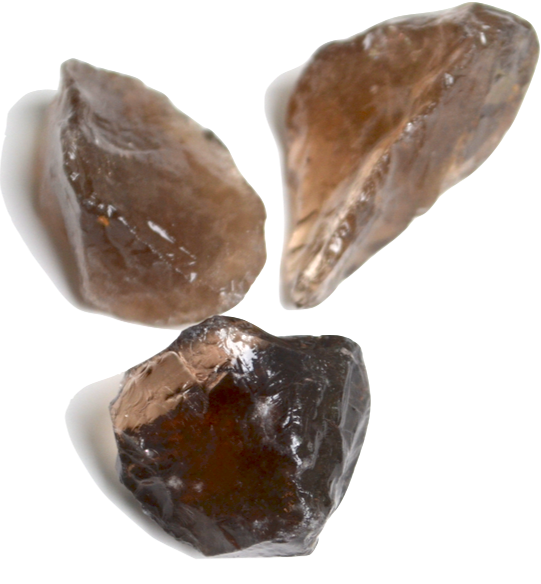 Rutilated Quartz – This variety of clear quartz contains needles of rutile, a gold-colored crystal of titanium oxide. Sanskrit Jasper – Named for the markings contained within the stone, it is believed this stone carries ancient prophecies in the language, Sanskrit. It is prized for its markings and rarity. Smoky Quartz – This stone is the light brown to black variety of quartz. Very dark quartz can be heat treated to give it a lighter tone. High quality stones are mined in Alexander and Lincoln counties in North Carolina. 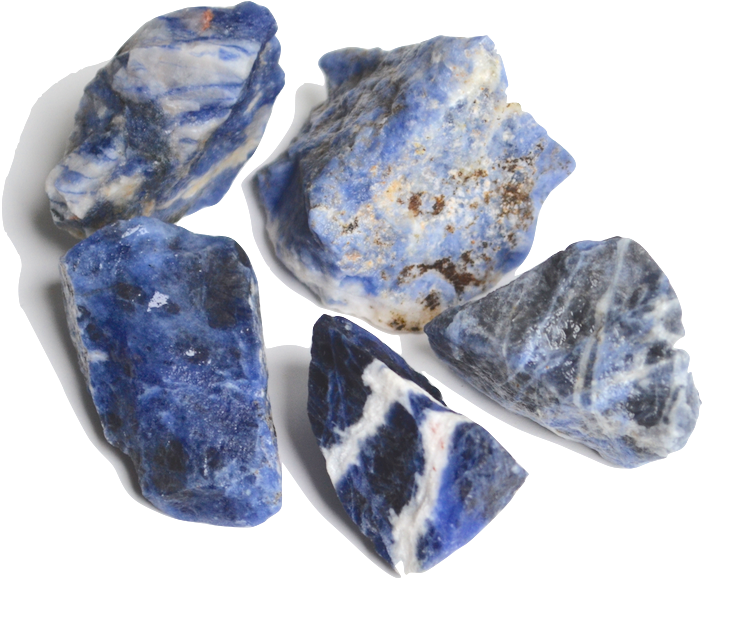 Sodalite – Frequently used as a gemstone, Sodalite contains a mineral which fluoresces orange when held under an ultraviolet light. 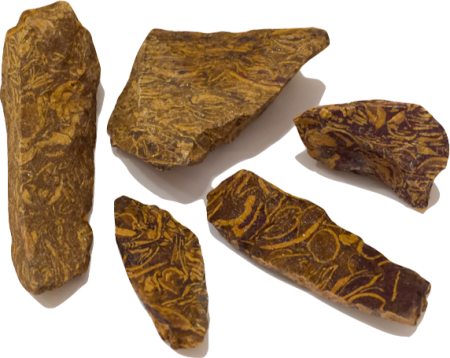 Tiger’s Eye – A semiprecious variety of quartz with a luminescent band that looks like a cat’s eye. 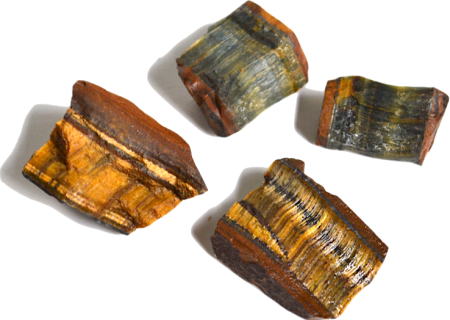 Tiger’s eye is golden in color. It is also found in two other prominent colors – blue and red. The red variety is called Dragon’s Eye and the blue is called Hawk’s Eye. 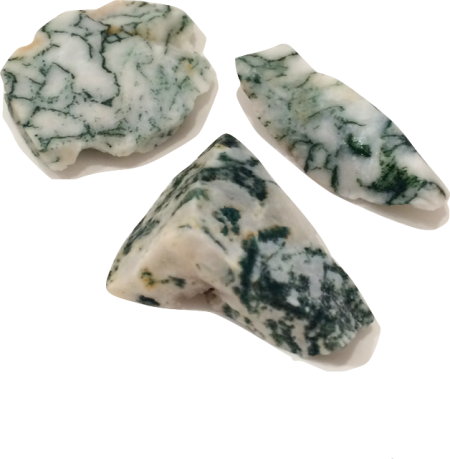 Tree Agate – Like Moss Agate, this stone has tree-like inclusions and is predominantly white, speckled with green. Topaz – One of the seven precious gemstones, it can be found in a variety of colors, pink being the most rare and valuable. 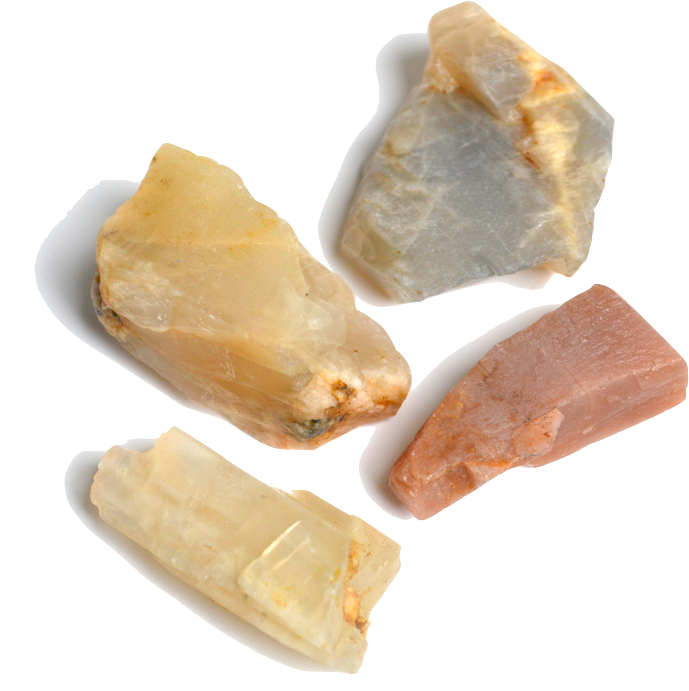 This stone’s color range includes yellow, brown, orange, blue, green, pink and clear. Topaz is considered the birthstone for November along with citrine. 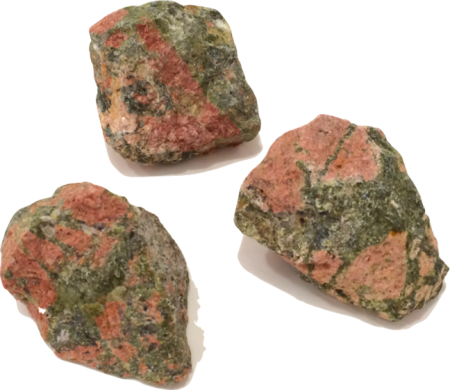 Unakite – Unakite is a marriage of olive-green Epidote, red Jasper, and speckles of pink Feldspar. Unakite was named after the Unaka mountains in North Carolina and Tennessee where it was originally discovered. Unakite is believed to balance the heart and lift one’s spirits. Zebradorite – The beautiful brown stripes give a Zebra-like appearance to the stone, lending to its name. Our Zebradorite comes from Madagascar.